Dr. Eleanor Tan of Healthway leads the ribbon-cutting. 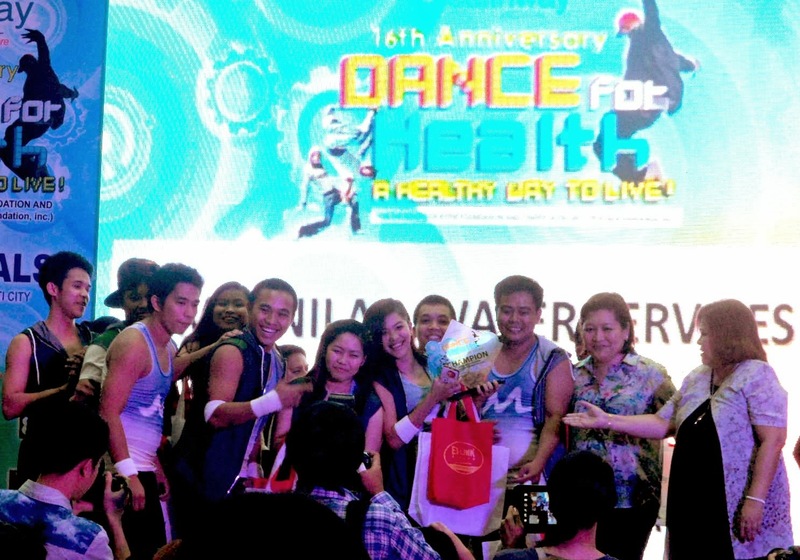 "Dance for Health is the culminating activity of our company's 16th anniversary celebration. 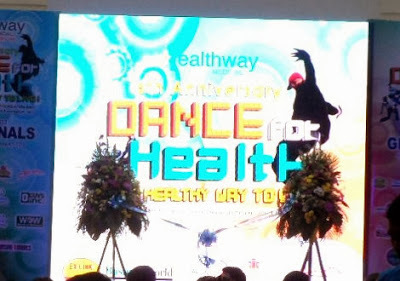 Healthway Medical believes that a healthy lifestyle is important in preventing various diseases," says Healthway Vice President for Sales and Marketing Carmie De Leon. "Dancing is definitely a fun and healthy way to make sure that we stay at the peak of our health." St. John Bosco- FMD Extreme. Spell-binding performance with lots of stunts. 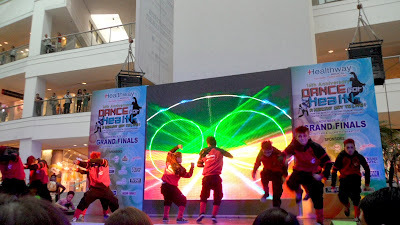 STI Balagtas - They call themselves the Balaraw Dance Troupe and gave the crowd a heart-pumping dance number. EARIST - Red Fox Dance Company. What do you expect but lots of "foxy" moves that moves everyone to groove. Considered both a sport and an art form, dancing is the ultimate expression of human emotion by using one's body to communicate with movement and style. Dancing is euphoric and contagious and what better way to deliver Healthway Medical's mission of promoting "Prevention rather than Cure" than with a competition that celebrates life and all its glory. 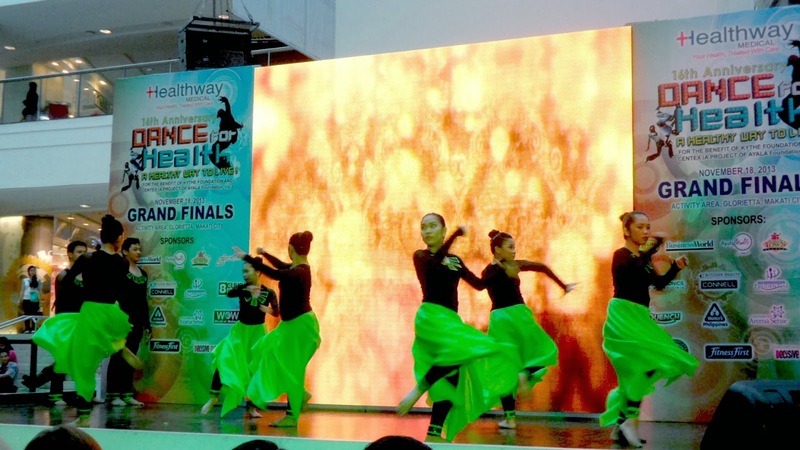 The event also aims to continuously promote and support its advocacy of sharing its blessings with KYTHE Foundation and CENTEX. KYTHE Foundating is a non-profit organization that helps children diagnosed with cancer and other chronic diseases. The Foundation also provides financial assistance for treatment and health maintenance aside from the emotional support given to each recipients. CENTEX or The Center for Excellence in Public Education is a public school for children who excels academically but comes from an economically disadvantaged homes. 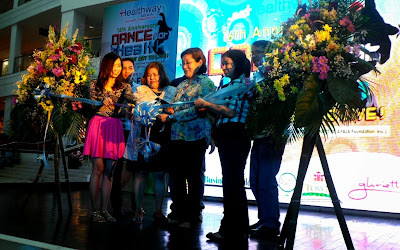 CENTEX was established through the MOA between DepEd and the Ayala Foundation Inc. It has two schools now, one is in Tondo while the other one is in Bauan, Batangas. 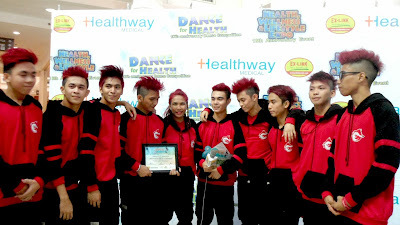 But of course, like what Ms. Rikka Dylim who hosted the show said, each finalist are already a winner in their own right as they have bested numerous contestants during the preliminary and elimination rounds last September 26, 2013 and October 26, 2013 at the SMX Convention Center and Alabang Town Center respectively. The three judges (Ms. Maricar Escollar, Mr. Elijah Caguioa, and Ms. Vanessa Samson) who in their own rights are choreographers and professional dancers had a hard time making their decision on who gets to be the champion as all the contestants did very well in their dance numbers. Luckily, there's going to be 3 winners namely: the third, second and first placer. 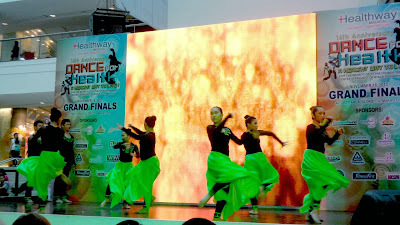 At one point, the judges were asked to show off their dancing prowess much to the delight of the crowd.